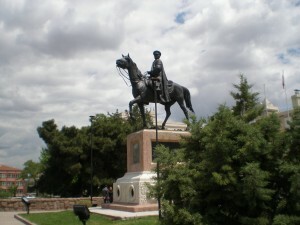 Ankara is the capital of Turkey. And the country’s second largest city after Istanbul. The city has a population over 4 million people. The lure of employment for Turkish residents of the eastern provinces draws large numbers of people to Ankara which has led to massive growth. Modern Ankara has broad avenues which are the result of changes initiated in 1923 by the father of modern Turkey – Mustafa Kemal Atatürk. Here you can find the wide streets with western-style boutiques and the 5-star hotels and restaurants which reflect the fast-track the Turkish have been on to create a modern and high-tech society in a relatively short period of time. After the founding of the Republic in 1923 a competition was staged for the design of a modern city which was to be the capital. The construction began in 1928 after the prize-winning plan submitted by German town planner H. Jansen and architects C. Holzmeister, P. Bonantz and B. Taut was approved. The mausoleum of Mustafa Kemal Atatürk, the founder of the Republic of Turkey, was completed in 1953 with an impressive combination of ancient and modern architectural styles. In an adjacent museum there is a wax statue of Atatürk, his writings, letters and personal items, as well as an exhibition of photographs recording important moments in his life before and during the establishment of the Republic of Turkey. In addition to the expansion of the railroads and the opening up of the country by long-distance inter-province highways, the countrys infrastructure improved dramatically with scheduled airline service to other international airports in cities around the world. Ankara today sits at the hub of nearly all of Turkey’s major transportation, communication, education, political and governmental institutions. Ankara is second in size to Istanbul which is the largest city in Turkey. 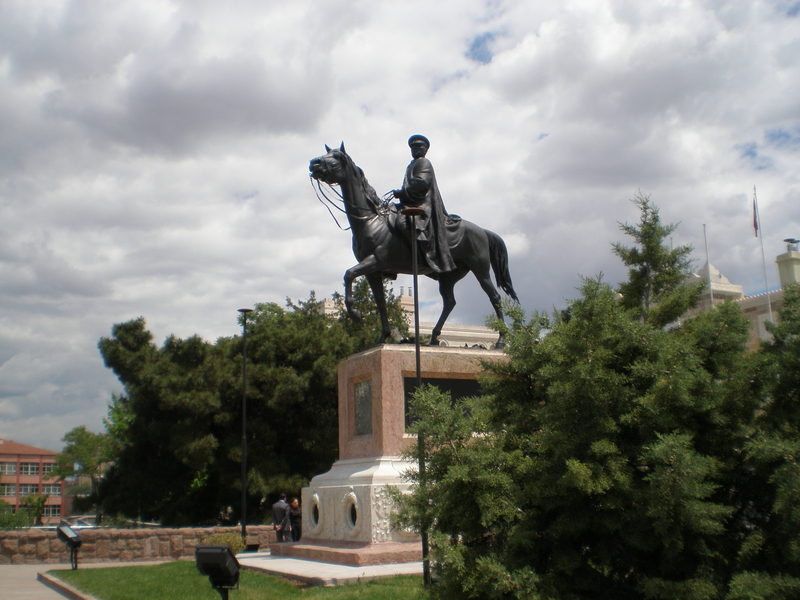 Ankara also serves as the capital of Ankara Province. Ankara has gone by several names over the ages: The Hittites gave it the name Ankuwash before 1200 BC. The Galatians and Romans called it Ancyra. In the classical, Hellenistic, and Byzantine periods it was known as Ἄγκυρα or Ánkyra which means anchor in Greek. The city was also known in the European languages as Angora after its conquest by the Seljuk Turks in 1073, and continued to be called with this name around the world until it was officially renamed Ankara with Ataturks Turkish Postal Service Law of 1930. The city was known for its long-haired Angora goat with its prized wool – mohair, a unique breed of cat – the Angora cat, white rabbits and their prized wool – Angora wool, and Ankara pears, honey, and the region’s muscat grapes.